Ah, Sebamed Clear Face Gel. The thing that was my saving grace in times of turmoil, and what actually sparked my interest in learning about how moisturizers work. Check how many times I repurchased this bad boy. When I discovered this moisturizer I was having AWFUL breakouts, and felt like I had tried every product under the sun with no luck. Everything, and I mean everything, was either giving me acne, irritating my face, or making my skin red and splotchy. Tried it, and lo and behold: no breakouts. A week later everything was looking significantly more “calm.” Needless to say, this sparked my curiosity — why, of all the dozens of moisturizers I tried, did this one work? What the hell was in this magic potion that actually sat well with my skin? Let’s break down the ingredients and find out! 1.5 So what makes this formula so great? 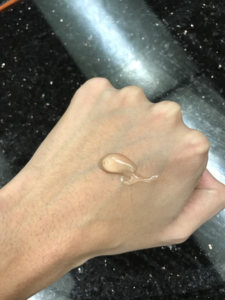 1.6 When would Sebamed Clear Face Gel be a good option? Le magic sauces’ full ingredient list. Some studies have even shown it effectively treats psoriasis. (6, 7, 8, 9) I’ve had the lovely opportunity of dealing with psoriasis in the past (sarcasm). Here’s what it looks like in case you’re wondering. Yes, it is painful. Preliminary studies on mice have also shown it effectively treats burn wounds. (13) But unless you’re a mouse, it’d take that information with a grain of salt. It may also be an effective dermatitis treatment. (14) I’m such an unlucky n00b, I’ve had experience with that too…. A.k.a hyaluronic acid. A natural part of skin that plays a crucial role in speeding up the wound healing process, and applied topically hydrates the skin by pulling water from the atmosphere and dermis. (15, 16, 17, 18) It’s one of the most powerful humectants available today, capable of holding 1000 times it’s water weight! Soothes dry irritated skin, and has moisturizing and exfoliating properties. (19) A couple mice studies have also shown it helps heal wounds. (20) But again, you’re not a micey mice! So don’t take that information at face value. So what makes this formula so great? To answer the question above: “what the hell is in this magic potion?” — it isn’t so much what’s in the formula, as much as it is what’s not. In other words, this is such a basic moisturizer that it’s hard to imagine it would realistically cause problems for anyone. (Still important to patch test though). It doesn’t even include any oils or emulsifiers! Something 99% of products out there can’t claim. Naturally, after using this gel and seeing my skin calm down significantly, I began thinking, “either all oils or emulsifiers break me out, or only some do.” Which led me to start investigating. If you find yourself in this position and would like to know what ingredients you’re sensitive to, the next step would be to try a moisturizer without oils, but with emulsifiers. Generally speaking, these will be gel based ones. From here, you can begin pinpointing which ingredients you’re sensitive to by process of elimination. Long story short, that’s what I did and how I discovered I had two malassezia induced skin conditions (pityrosporum folliculitis and seborrheic dermatitis). If those sound scary or confusing, it just basically means my skin flairs up or breaks out any time I put fatty acids with carbon chain lengths between 11 and 24 on it. Problem is, upwards of 95% of moisturizers out there contain some form a problematic fatty acid via an oil or isolated ingredient. In case you’re wondering what other moisturizers I have since found that work for my extremely problematic skin, check out the following reviews: CeraVe PM and CeraVe Moisturizing Cream. UPDATE 5/16/17: I have written a massive guide on fungal skin issues (for example, malassezia folliculitis a.k.a. fungal acne, seborrheic dermatitis, atopic dermatitis (eczema), psoriasis, dandruff, tinea versicolor etc.) and how to treat them. It can be found here. 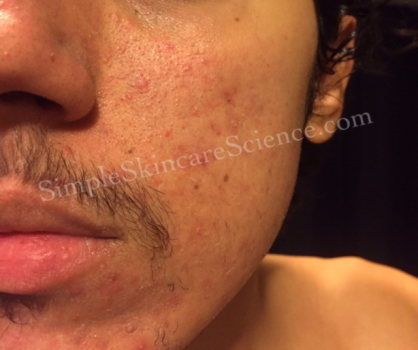 If you have incredibly stubborn acne, are an adult, or breakout from EVERYTHING. I highly recommend you read that article! 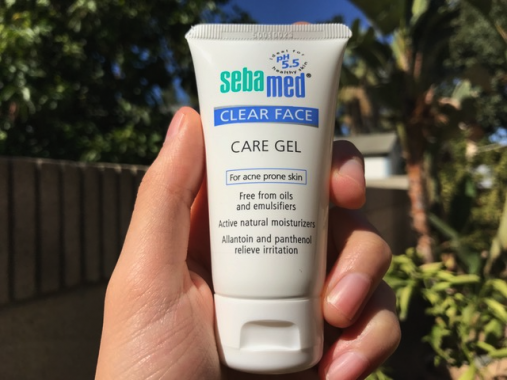 When would Sebamed Clear Face Gel be a good option? 1. You absolutely breakout from everything. And I mean EVERYTHING. 2. As a placeholder moisturizer to use while doing some detective work to figure out what ingredients you’re sensitive to. Mind you, if you’re perfectly happy with this moisturizer, and find it hydrating enough, then by all means — keep using it! Like I always say: if it ain’t broke don’t try to fix it. With that said, if you’re like me and this moisturizer doesn’t provide quite enough hydration (my skin is very dry), then use it as placeholder until you find something better. UPDATE 8/4/17: if you find that Sebamed Gel isn’t moisturizing enough on it’s own, I HIGHLY recommend adding a few drops of squalane to it. This is my all-time favorite oil and it’s VERY unlikely to cause breakouts or aggravate any skin type including those with sensitivities to malassezia because it’s a natural part of human sebum. Squalane oil also helps reduce the stickiness of sebamed gel. Kudos to u/svvaffles for the tip and sharing her before and after photos on r/skincareaddiction. She regularly uses squalane in her routine with sebamed gel! Now let’s discuss how the Sebamed Clear Face Gel feels on the skin. It goes on like a thick gooey water initially, but seemingly “melts” into a liquid before evaporating on the skin. It’s hard to see it in the third photo, but it leaves the slightest sheen. It definitely has a slight tacky feeling to it once it’s dried. Personally, I’ve never been a fan of that sticky-ish feeling. But in this formula, it’s not overbearing at all like it is for example, in a gross goopy American sunscreen. Overall, it spreads well, feels good, and provides a minimal amount of hydration. 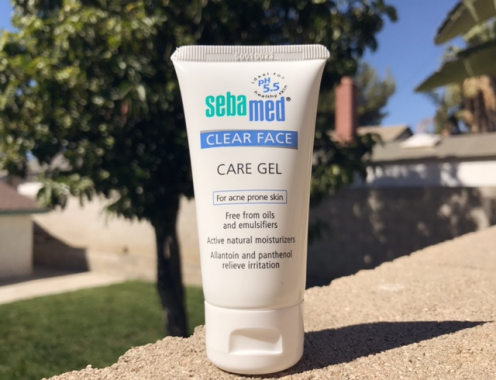 The Sebamed Clear Face Gel takes an absolutely minimalist approach by eliminating any potentially problematic ingredients that could cause acne flair ups. This is as barebones as it gets, as far as moisturizers are concerned. Notable ingredients include: Aloe Vera, Hyaluronic Acid, Panthenol, and Allantoin. Allows the skin to calm down if it’s been subjected to a ton of active ingredients or products, or is hyper-sensitive. One of the only moisturizers out there that can truly claim it will not cause breakouts for the majority of people. Ideal for those that absolutely cannot tolerate any moisturizers. Spreads easily, feels like a gooey water, and leaves the slightest tacky feeling behind. Not at all bothersome in my opinion, and I hate the tacky feeling of products. Simple packaging for a simple product. No complaints here. Ideally I would have liked this to be in a bigger container because it doesn’t very long. This product is ideal for those that cannot tolerate any moisturizers. Its super basic formula is almost guaranteed to work on all skin types, and could prove to be a useful tool in determining why other products are breaking you out. That does it for the Sebamed Clear Face Gel. Hope you’ve enjoyed this review! And keep fighting the hard battle, Skin Warrior! You will get there. Tell you friends about this handy-dandy-detective gel! Thank you so much FC! Until I started using this moisturizer and dead sea salt treatment! In the PM I splash my face with salt water for 5 mins before a shower, sometimes I use a gentle cleanser-right now it’s PC clear pore refining cleanser. That’s it! The sea salt actually leaves my skin very comfortable. I could write for ages about dead sea salt… have you ever thought about a post on that? I know my seb derm thrives on any excess oil (even the “safe” oils) at all, because if I moisturize before bed, I wake up to an oil slick and a few red raised spots. I am off topical steroids from this! I’ve used the seb derm shampoos, Finacea, clobetasol, triacimilone, snail bee essence, cosrx BHA, Lamisil, clomitrazole, on and on and I can’t believe freaking salt water and a barebones moisturizer did the trick! Just wanted to post a warning (for Canadians). 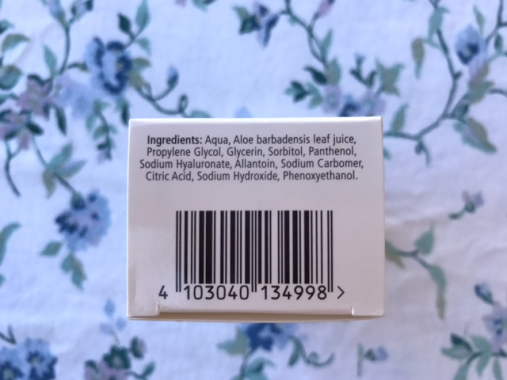 I was looking up where to get this Sebamed Clear Face Care Gel, and realized that on the Sebamed.ca website the ingredients are different. It has Polysorbate 20, so anyone that is concerned with malassezia, will want to make sure they are using the U.S. ingredient version. Guess I’ll stick to my regular aloe vera gel (which I think does work pretty well); just doesn’t have some of the extra ingredients. And then usually topping up with the Avene TOLÉRANCE EXTRÊME EMULSION (which in this case the Canadian version seems to have a bit better ingredients than the U.S. one). P.S. Thanks F.C. for all your great work. Have learned so much & even though I didn’t think I fit into a typical Fungal Acne description, having tried everything else, I followed a regimen as if I do, & my skin has been so much better, so there must be enough of a tendency towards it! (if that’s a thing). You’re awesome to do all these helpful reviews ! I’m the perfect candidate for this . Thank you ??? Hello, quick question. When you say add a few drops of squalane, do you mean to the whole bottle? Or upon each application. Thanks! Iam just loving everythin you wrote in it! Gor worse purge and irritate by adapalene n treti n looking for more info for Azelaic Acid from your blog and lovin so much!!! So much information!! And am looking for moisturizer bcs my skin was so freaking dry using clyndamicin & Aza but a bit worry to be more breakout using any moisturizer, instead can clogged my pores. Ah ya, can i also use this care gel along with Aza or Adapalene? I prefer to used it afterward. I really need your review as my skin bcms really dryyyy itchu stiging, even all my dry patches becomes dark rash like thick skin whose wait time to peel lollll. Hi, nice article. Will that be helpful for whiteheads? I have a grass of whiteheads on my chin(lol, if you what I mean). And I have that since I was in my early 20s, now I am 30. Please recommend any good product that can help to cure whiteheads and open pores that I have on my face. Thanks in advance! Omg i love your blog… i’m by no means a expert and have just started being extra careful about what i put on my face so i’m thankful that someone out there with the same breakout-prone skin type has the same nerdy Nancy Drew approach to skincare. 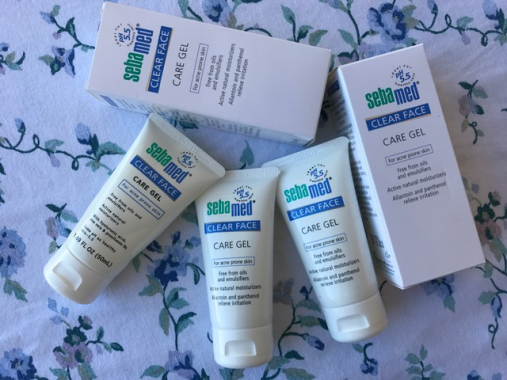 I’m a big fan of Sebamed ( their Face and Body Cleanser, Everyday Shampoo & Cleansing Liquid are all my HGs) and i just bought this Face Gel last week though i have been too scared to try it as i’m going through an allergy recovery phase…. but after reading this i went ahead and bravely patch tested my forehead! A big thank you to your articles which have given me courage and hope! I love this, this is my saving grace. Cerave seemed to break me out all the time and I was sad I couldn’t use it. Is there anything you would try so that it can be more moisturzing than sebamed? I love this stuff but it isnt the most hydrating. I even broke out from vaseline which was strange to me, maybe putting on too much? I am pretty sure I have fungal acne, so I ordered recommended products that won’t make my skin mad and sulfur+ketoconazole. I also have a rash that I was pretty sure was dermatitis, and AFTER ordering everything (I got too excited) I had my doctor’s appointment and found out I have perioral dermatitis. So most of the products I ordered should be good with both skin issues, and sulfur is also good for my type of dermatitis. However, I’m supposed to avoid sunscreens with zinc and titanium oxide and any occlusive moisturizers (with ingredients like petrolatum, dimethicone, lanolin, mineral oil, and silicones). Finding products that are affordable and meet the requirements of both skin conditions is making me crazy. Do you have any advice? I think I will get this face gel but I wish it was more affordable, since it’s $10 an oz. I have been using Isdin Nutradeica and I’ve been thinking about switching to Sebamed Clear Skin Gel but I’m worried if there is a possibility that the aloe vera would break me out, what do you think? Thanks. Since this is such a safe, reliable moisturizer for skin, could it be used at night too in place of a sleeping pack? What do you think about the other ingredients like the Propylene Glycol, Sodium Hydroxide and Phenoxyethanol. I just know that EWG doesn’t give it a 1 rating. 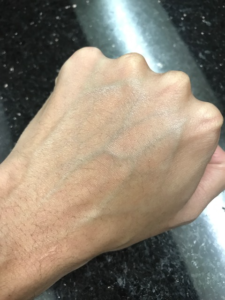 Do you think it can be harmful to the skin at all? I suffer from dermatitis, acne, and extremely sensitive skin. Have you heard of Innisfree? Was just wondering if you were aware of the brand’s moisturisers and ruled it out or didn’t know about it. Thank you for all your great reviews and guides. 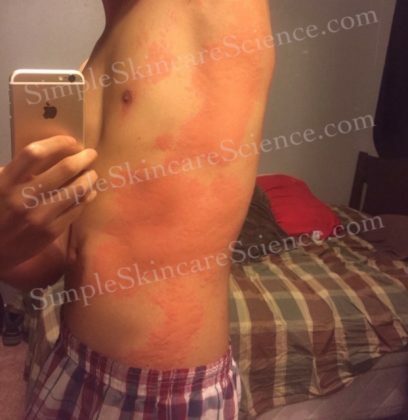 I’m 22 and have seborrheic dermatitis, rosacea, breakouts of acne and over the past half year have been experiencing several breakouts of impetigo. The latter gets treated with antibiotic creams. I was hoping you could take a look at my routine. I’ve had a period where I used vaseline daily, but this gave me a bunch of milia, and while removing these myself (I know, so wrong) I triggered another round of impetigo. I’m obsessing about my skin again 24/7 and don’t want to leave the house on most days because of it. Now I’ve been looking on your website and reading a lot about proper hydration etc. I eat a vegan diet consisting of lots of fruits, vegetables and whole grains so diet shouldn’t be a problem I think. I’ve been thinking of starting with the oil cleansing method using CCT and maybe the soapfree washing emulsion after to be sure? Then I want to make my own hydrating serum with distilled water, glycerin, hyaluronic acid, ureum, allantoin and niacinamide. After applying this I think I’ll just start using squalane as an occlusive, also with Vitamin E acetate to prevent oxidation. Do you think this routine would be good? Or should I make a mixture of CCT and Squalane, or maybe try to make it into a cream with glycerin and an emulsifier? Big fan of your posts. Can’t believe I only recently discovered this website. I wanted to ask if you have ever used the Sebamed multiprotect sun Lotion spf50+. What do you feel about this product? Safe for oily acne prone skin? ?